We can design, print and mail a custom marketing piece to everyone on your list! Good for 100-500,000+ addresses, the sky is the limit when it comes to the success of your marketing campaign - and it all begins with a few clicks on our site! 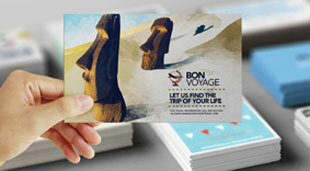 Postcard marketing is the mostinexpensive way to advertise. 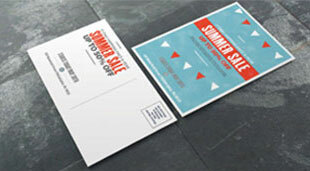 Due to its nature, postcards a ready-to-read and can quickly communicate your message. Mail them with our direct mail services, or blanket an entire region using our convenient EDDM services. Custom printing of booklets, magazines, look books and catalogs (perfect bound, saddle stitch and wire bound), brochures (tri-fold, z-fold gate fold, etc) and invitations. Complete your piece with our specialty finishing: embossing, debossing, spot UV, silk screening, die cutting and much more. 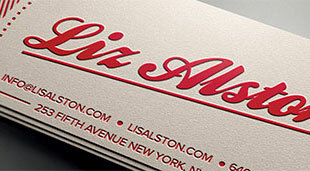 Our graphic design team has a wealth of experience in incorporating unique print finishings into custom designs. All designers hold degrees in design and use their talents to create custom printed pieces for both Fortune 500 companies and small to medium sized businesses alike. Get started today and speak with a designer on your next piece.